Progress Lifeline is an easy-to-use personal alarm and remote monitoring system that helps people remain independent and confident in their own homes. In the event of an emergency, customers alert the control centre by pressing the red button on their pendant alarm. 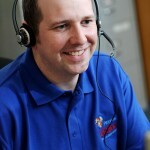 Experienced control centre operators will then contact a nominated emergency contact and key-holder, a doctor or the emergency services, or deploy Progress Lifeline’s Emergency Home Responders to the property. 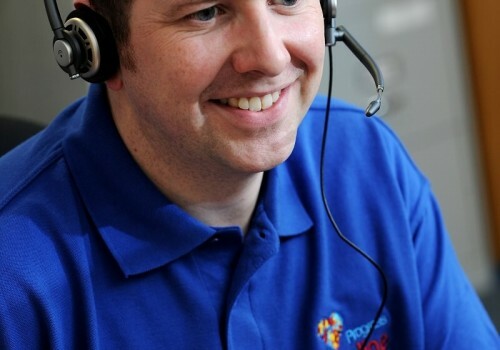 Available across Lancashire, Progress Lifeline offers remote monitoring in your home and emergency assistance 24 hours a day, 365 days a year, providing peace of mind to customers and their families. The Progress Lifeline personal pendant (red button) home alarm system and 24 hour remote home monitoring service provides support for people who are elderly, vulnerable, or who live alone as well as people with sensory impairments, disabilities or health conditions, mobility problems, people recovering at home after a hospital discharge, carers, and people living with harassment or domestic abuse. Progress Lifeline’s Emergency Home Responders are available for customers who don’t have contacts or have frequent falls without injury. They will attend the property if a customer presses their pendant and is unable to inform the control centre what help is required. Emergency Home Responders are also trained to help people back on their feet using assistive lifting technology if they have a fall, are uninjured and need help getting up. 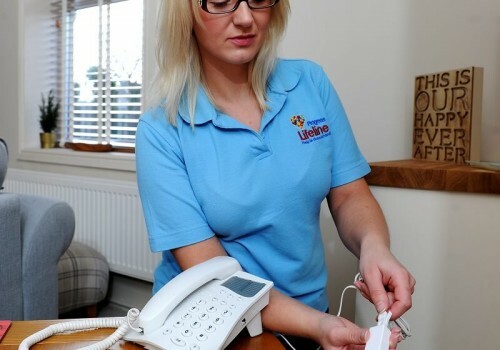 Progress Lifeline also offer a range of Telecare solutions such as motion sensors, fall detectors, smoke/heat/gas/flood alarms and pill dispensers. Telecare sensors automatically alert the Progress Lifeline control centre if they detect a situation which may put customers at risk. 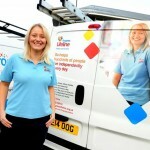 Progress Lifeline’s in-house installation team will come to your home at a date and time to suit you, to install and test the equipment and explain how it works, all at no extra cost. Our dedicated control centre in Lancashire has been providing monitoring services throughout Lancashire for over 28 years, and currently monitors over 10,000 customers across Lancashire, providing them with help at the touch of a button 24 hours a day, 365 days of the year. 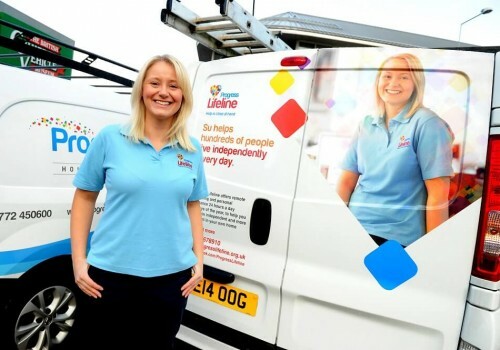 Progress Lifeline is a Platinum Accredited member of the Telecare Services Association (TSA) – the industry body for Technology Enabled Care services (TECs).